Ghostbusters is one of those classic 80s films that is easy to forget how good it is until you get around to seeing it again. I can’t say the same for the follow up, but the original is still a damn fun ride that has the right mix of laughs, scares, and campiness to keep you entertained from start to finish. With the knowledge they had been looking to make a 3rd film in the series over the last decade or so, meant it was always in the back of my mind what a modern telling of this story could entail. 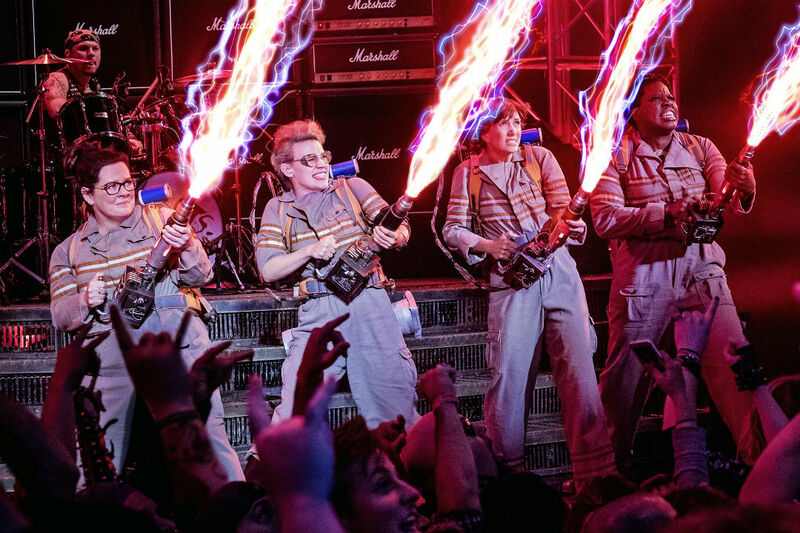 Though with it being bogged down for a long time in development, and when Harold Ramis passed away, meant it was very unlikely it was going to get made. Then what felt like from out of nowhere, they announced a reboot, and this time with an all female cast. With 3 decent comedies under his belt, the director Paul Feig was a good choice, with Bridesmaids, The Heat, and Spy to his credit, and when you add in him re-teaming with Kristen Wig as well as his 4th film in a row with Melissa McCarthy, meant this looked like an easy win, despite knowing there will be detractors. So for me I never batted an eye at the idea of an all female cast, and when pictures started popping up from the set, I thought it all looked on point. That was until the trailer came out, which I guess you can say I was on the same bandwagon as everyone else, as I thought it looked really bad. Despite that though, and despite the bad reviews it was getting when it finally did come out, as well as the racial and sexist abuse against the film, I went in eyes wide opening hoping that this was going to make the haters seem like idiots as it delivered a master class in comedy action. Sadly though, this is a film that actually ended up being worse than the terrible trailer that preceded it. I’m not going to go into every aspect I thought was bad, but I honestly felt like the film dropped the ball in so many places that it just got sloppy and amateurish from start to finish. So though I was really hoping it was going to deliver something great, and at the very least decent, but instead what was put in front of me was just plain bad.